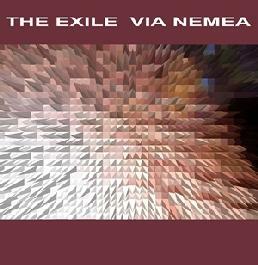 The Exile - "Via Nemea"
Weaving a gentle tapestry of guitar, piano, and synthesizers, The Exile creates ambient music that is both atmospheric and melodic. In his promotional materials, he lists one of his influences as Brian Eno, and I would say that is an apt comparison to start with, as soft piano notes fall like raindrops on soothing backgrounds of either classical-like arrangements or sighing, breathing atmospherics. The music is often reminiscent especially of Eno’s collaborations with Harold Budd (as well as Budd’s own Pavilion of Dreams album). The first six pieces on Via Nemea tend towards the more melodic, and are mostly piano based, though jangly, strumming acoustic guitar buoys Little Bells to nice effect, and the title track is pure soft swirling synths. And while those tracks make for a very relaxing listening experience, things start to get a little more interesting and experimental in the latter two thirds of the album, starting with the brief Another Drink, with its strange voice samples and a haunting, almost gnawing melody. The deeply moody sonic excursion, Low, Bare Hills was one of my favorite tracks, reminiscent of the dark soundscapes of Eno’s Ambient 4: On Land album. Also fine were the drone expeditions of Glass Under Foot and Prayer Flags, because even amidst a haze of noise, The Exile doesn’t forget about melody, even if it’s a very subtle one. This is the kind of music that takes you away in your mind, to walk through rainy forests, down the quiet streets of sleepy sunset towns, across misty fields of dewy grass, and along windswept autumn beaches.